In early 2012, I started to see some chatter online about the ketogenic diet as a potential anti-cancer diet and I was intrigued by it. Could this be another possible dietary strategy to heal cancer? So naturally I shared information about it on this site, thinking it might be a viable option for some. At that time there were no other sites (at least none as large as this one) talking about the ketogenic diet and how it may help cancer patients. In 2013, awareness of the keto diet exploded. This was mostly due to Dr. Mercola’s articles, interview with Thomas Seyfried, and endorsement of it. Since then, many opportunists have jumped on the bandwagon looking to exploit this dietary fad to sell ketogenic diet books, programs, keto supplements, or get more clicks on their website. At first glance, there is an overly simplistic yet compelling hypothesis which presents the ketogenic diet as a method to starve cancer cells of their primary fuel, glucose, thus killing the cancer. Despite the zealous promoters of it, my opinion of the ketogenic diet has changed. What caused my change of heart in promoting the ketogenic diet for cancer patients? It started with several long phone conversations and email exchanges I had with a friend who runs a clinic in Mexico who was adamant that the ketogenic diet did not work in healing cancer long term. This coincided with the recurrence of cancer in someone I knew who was promoting the ketogenic diet (as effective). It appeared to have some positive short term results for some people (shrinking or slowing down tumors), but I was beginning to have some doubts about it working long term. This uneasiness persisted for many months and I could not shake it. So I finally made the decision to take down my very popular post and youtube video about it. Then came the coup de grace from Dr. Nicholas Gonzalez MD in October 2013. Dr. Gonzalez and his colleague Dr. Linda Isaacs MD have had remarkable success treating cancer patients with a non-toxic nutritional protocol that incorporates some of the principles of the late Dr. Max Gerson MD along with the late Dr. William Donald Kelley’s protocol which includes high doses of pancreatic enzymes and individualized diets depending on body type and cancer type. I have huge respect for them, not because of their theories, but because they are getting RESULTS, including reversing “incurable” stage four cancers. Two volumes documenting 112 of their successful case studies can be found here. Dr. Gonzalez wrote an eight part article series for Natural Health 365 on the history and failure of the ketogenic diet for cancer. Dr. Gonzalez’s nutritional cancer treatment expertise is much deeper than ANYONE currently promoting the ketogenic diet for cancer, because unlike anyone else promoting it, he actually treats cancer patients with nutrition every day. There are thousands of people out there who have healed cancer naturally. I meet natural survivors constantly and even share their stories on this site. Most natural cancer healing protocols involve a radical change of diet and lifestyle that includes “overdosing on nutrition” with juicing, lots of raw plant food, little to no animal food, supplements, and herbal cleanses along with detox protocols. Those are all time-tested methods validated by a large body of long-term survivors. There are several studies where researchers implanted human gliomas into the bodies of rats (a completely unrealistic scenario) and reported that the rats put on a ketogenic diet lived longer. In one study, rats with human brain cancer implanted in their bodies lived 56% longer on a ketogenic diet combined with hyperbaric oxygen therapy. “56% longer” sounds huge until you learn that the mean keto/oxygen therapy survival was 55 days compared to the control rats who lived 31 days. And all the rats still died of cancer. In another study, rats with human brain cancer implanted in their bodies achieved complete remission when fed a keto meal replacement shake called KetoCal and treated with radiation. Rats treated with a ketogenic diet (KetoCal) without radiation only lived 5 days longer than standard diet rats. In this pilot study, 16 patients with advanced cancer reported that the ketogenic diet had some improvements in their quality of life, but were not cured. This 2012 study showed that tumors can use ketones for fuel. Hello! A 2017 study published in Cell found that a genetic mutation called BRAF V600E allows cancer cells to use ketones to grow faster. This mutation is present in 50% of melanomas, 10% of colon cancers, 100% of hairy cell leukemias, and 5% of multiple myelomas. This 2014 study found that a keto diet helped anti-angiogenic drug bevacizumab work a little better for glioblastoma in humans, but had no effect alone. A 2018 study found that the ketogenic diet combined with PI3K-inhibiting drugs slowed tumor growth in mice better than the drug alone, but the mice given the ketogenic diet alone had accelerated progression of acute myeloid leukemia. Notice he used the word “effective” twice. The word “effective” does not mean cure. It typically only means temporarily slowed growth or temporary tumor shrinkage. To put it in perspective, over 580,000 “effectively treated” cancer patients die in the U.S. each year. The sobering truth is the cancer industry has only improved the overall cancer death rate by 5% in the last 60+ years. “Ineffectively treated” is a more accurate and appropriate way to describe the current state of affairs, but I digress. The ketogenic diet has repeatedly been shown NOT to heal cancer as a monotherapy in rodents or humans, which has prompted researchers including D’Agostino to continue tacking on more protocols in an attempt to make it more “effective”, like fasting, calorie restriction, ketone supplements, hyperbaric oxygen, IV therapies, hyperthermia, nutraceuticals and chemo and/or radiotherapy. It is my opinion that patients undergoing all of the therapies described above would do far better on a mostly raw, organic, whole foods plant-based diet, than on a ketogenic diet. Why? Because I know lots of survivors, myself included, who have healed cancer with that exact dietary strategy. I’ve interviewed 60+ of them here. In the absence of clinical evidence, the next best thing is anecdotal evidence. Survivors are the true test. And until there is a substantial list of long-term survivors, I cannot in good conscience support the ketogenic diet as a viable diet for healing cancer. I am perfectly ok with being proven wrong, and if so, will freely admit it, but it will be at least 10 years before we know if the keto diet really works for any type of cancer, long-term. Having said all that, there is tremendous value in short-term ketosis. The natural process of ketosis induced by a 3-5 day water fast or the 5-day ProLon Fasting Mimicking Diet has powerful benefits in the body including autophagy, as well as stem cell activation and regeneration. Learn more about that in my interview with world-renowned scientist and longevity expert Dr Valter Longo here. Addendum: Dr. Charles Majors, DC was an avid promoter of the ketogenic diet for cancer. He spoke right after me at a conference a few years ago and argued against my plant-based dietary approach from the stage. Sadly, the ketogenic diet he insisted cancer patients adopt did not work for him and he died of brain cancer in late 2016. Here is a short interview with Jonathan Landsman of Natural Health 365, in which the late Dr. Nicolas Gonzalez MD explains why a ketogenic diet doesn’t work for cancer. If you want to take a deep dive, Dr. Gonzalez masterfully dismantles the ketogenic diet for cancer in the lengthy article below. This is not a scientific rebuttal, quibbling over theories about Warburg, glycosis, cell respiration, and ATP, rather it is a thoughtful, well-reasoned reflection from a medical doctor who was in the trenches of nutritional cancer treatment for nearly three decades. His real world experience with patients, insider knowledge, historical perspective and common sense put him head and shoulders above the lab-rat researchers and theorizers, no offense guys/gals. The following article, which first appeared on Natural Health 365, is highly recommended for anyone who wants perspective on the ketogenic diet vs. carbohydrate-rich therapies that involve lots of fruits and vegetables, juicing, etc. In this initial article, I’d like to begin by making the point that the world of cancer research and cancer medicine is littered with the discarded theories and rejected therapies thought at one time to be the next promising miracle, the final answer to this perplexing and deadly disease. In my own professional lifetime, I have witnessed a number of cancer miracles come and go, sometimes in quite dizzying succession and at times with extraordinarily dazzling hysteria. I remember one of the first, from 1980 when I was a first year medical student at Cornell; in this case, it was, according to the press and the journals, the magic of interferon, an immune stimulant destined to bring cancer to its knees. Not too long afterward, interferon would turn out to be a bust, with its promise and fame rising and falling in roller coaster-like style. I lived through a far more extraordinary situation just five years later. I had graduated medical school by that point and was living in Florida, finishing my immunology fellowship under Robert A. Good, MD, PhD, the famed “father of modern immunology” as he had been called. It was late 1985 when the media broke the story about the next cancer miracle. I was sitting in my apartment overlooking beautiful Tampa Bay, when I read the initial front-page newspaper reports. Dr. Steven Rosenberg, already well-known as Ronald Reagan’s surgeon (the President had a malignant polyp), and a highly regarded basic science researcher running a section at the National Cancer Institute in Bethesda, Maryland, had just revealed to the world – at a press conference, as I remember – his preliminary pilot study results with a new immune modulator, interleukin-2, that would provoke an extraordinary media frenzy. The initial pronouncements, released with such glowing enthusiasm, indicated that finally, yes finally, after so many disappointments we might actually be looking at a real, universal cancer cure. In both laboratory and preliminary human trials, interleukin-2 – like interferon before it, a natural product secreted by lymphocytes that stimulates other cancer-fighting immune cells into action – had performed almost magically against even the most aggressive of cancers, such as metastatic melanoma and metastatic kidney cancer. News of Dr. Rosenberg’s “miracle” was everywhere, in the print media, on the local and national news, and in an extended Newsweek story appearing December 16, 1985, with white-coated Dr. Rosenberg on the cover peering intently at the world. The article, titled “Search for A Cure” in large bold print went on for six pages, accompanied by photos of Dr. Rosenberg, one with a patient, another as the serious scientist in the lab. Elaborate, colorful artwork illustrated the narrative, showing the intricate mechanisms of the immune system, and pinpointing interleukin-2’s ability, under the guiding hand of Dr. Rosenberg, to fight malignant disease. A separate subsection headlined “The Rise of a Superstar, From Reagan’s surgery to the frontiers of research” chronicled the compelling life story of Dr. Rosenberg. You couldn’t buy better publicity than this. Over the years, I had become particularly familiar with the interferon story since my boss, Dr. Good, had done much of the original research linking it to a possible anti-cancer effect. By that point, I knew Dr. Good quite well: during my second year of medical school, Dr. Good, at the time a professor at Cornell and Director of the Sloan-Kettering Institute, had begun guiding my fledgling research career. In 1982, during my third year of medical school, to my dismay the powers that be at Sloan pushed him out rather unceremoniously. Subsequently, he spent some time at the University of Oklahoma, where he was hired to set up a cancer research division, before moving to All Children’s Hospital in St. Petersburg, where again he established a cancer research-bone marrow transplant unit. When the news of interleukin-2 first hit the press, I discussed this new “miracle” with Dr. Good, who had grown quite cautious after years of experience and having witnessed many similar announcements followed by the inevitable letdown in the research community. “Look at the data, always look at the data,” he said, “not the media reports.” I followed his advice, tracked down and studied the actual clinical data, which I found surprisingly unimpressive. As I recall, in the first uncontrolled trial, of more than 100 patients entered only three seemed to have experienced any significant or lasting response. In subsequent months, reports of enormous toxicity, even patient deaths began to filter through the research community, serving to temper the initial hysteria. And it wasn’t cheap, as miracles go – the very toxic drug was so potentially dangerous it had to be administered in a hospital setting under very close supervision, with costs running in excess of $100,000 for a several-week course of treatment. Despite the initial warning signs, the media continued its relentless promotion of interleukin-2 for a number of years. In 1992, perhaps due to political pressure more than scientific evidence, the FDA approved the drug for use against cancer, despite the lack of comprehensive controlled trials. Then in the late 1998 a clinical study – completed some 13 years after the initial reporting – showed that interleukin-2, at least with advanced kidney cancer, worked no better than placebo. It’s still being used, though increasingly rarely, and no one I know talks about it with much enthusiasm. By the 1990s, just as practicing oncologist were giving up on interleukin-2, bone marrow transplant (BMT) as a solution to poor prognosis or metastatic breast cancer started grabbing the headlines, touted as a cure for this most invidious of diseases striking so many women in the prime of life. Despite the lack of any compelling evidence it worked for this indication, bone marrow transplant was being pushed as a solution to deadly forms of breast malignancy. However, initially insurance companies refused to pay for this unproven and very expensive treatment, which could cost in those days up to $500,000 or more. Nonetheless, enthusiastic oncologists joined with the media, portraying insurance companies as heartless, greedy bullies depriving women with breast cancer of a curative treatment. Not too long after, the trial lawyers got involved, orchestrating a series of lawsuits against various insurance companies on behalf of women wanting a BMT. In a particularly notable and telling case, Fox vs. HealthNet, the jury awarded the plaintiff, a woman diagnosed with breast cancer whose insurance carrier refused to cover the procedure, $89 million, including $77 million in punitive damages. Under such threat, the insurance industry relented, finding it cheaper to pay the $100,000 or $200,000 or $500,000 per procedure then risk such catastrophic financial harm. After some 40,000 women underwent the procedure – at a time when 10-30% of patients died from the treatment itself – it was eventually proven to be worthless. The one glowing positive study from 1995, the infamous South African study of Dr. Bezwoda, turned out on closer examination to be a complete fraud, with the creative researcher simply making up the data. The wonderful and frightening book False Hope describes the bone marrow transplant-breast cancer fiasco in great detail, for those with an interest. As these battles waged in the early 1990s, I had long left Dr. Good’s group, having returned to New York and private practice. Nonetheless, this story had a personal ring to it, as had the interferon story, since Dr. Good had completed the first bone marrow transplant in history, in 1969, and long hoped this technology would be, yes, an answer to cancer. Under his direction, during my fellowship years I learned how to do this very tricky and often deadly procedure. But no fear, there’s always a new miracle around the corner, and in 1998 the newspaper reporters and TV newscasters, having effortlessly drifted away from interferon and interleukin-2 and the bone marrow transplant craze, were all in a tizzy over the newest “final” solution to cancer, anti-angiogenesis, based on the pioneering work of the late Dr. Judah Folkman of Harvard. Dr. Folkman had spent decades studying the process of angiogenesis in cancer tissues, the formation of new blood vessels that allow tumors to grow quickly and invade through normal tissues and organs with deadly effect. Without a rich blood supply, cancerous tumors cannot grow beyond a cubic centimeter. Though Dr. Folkman’s research was all based on laboratory experiments and animal studies, the powerful NCI publicity machine took up the cause, with the smell of “miracle” again in the air, despite the lack of any evidence that Folkman’s anti-angiogenesis drugs worked against human cancer. Nonetheless, with the NCI and NIH on board, the media, large and small, local and national, seemed transported into a state of frenzy. Kolata quoted no less an authority than Dr. James Watson, the Nobel Laureate in 1962 for his discovery, with his colleague Frances Crick, of the structure of DNA, the basic genetic material. “Judah is going to cure cancer in two years,” Watson told Kolata. You couldn’t ask for a better source, making a more definitive claim. The glowing TV stories followed, including a memorable prime time, one-hour special about the subject on ABC hosted by the late Peter Jennings. The other networks, in quick succession, picked up the cause. However, not too long after, word broke that Times’ reporter Kolata had been, through her agent, hawking to publishers an idea for a book about anti-angiogenesis and cancer. Her agent, according to reports at the time, began circulating a book proposal the day after the Times story ran, asking for a $2 million dollar advance! The whole episode raised some eyebrows over a reporter seeking to benefit personally from a subject she was promoting in the news section of the Times. After a fair amount of criticism, Kolata withdrew her book proposal. As Dr. Klausner promised, the National Cancer Institute, probably swept up in the national and international explosion of hope and enthusiasm, “fast tracked” a preliminary study of endostatin in human patients, intending to enroll, as I recall, 70 subjects very quickly. But what surprised me – and what began to concern others I knew in the medical community – was some time later the deafening silence about the trial’s outcome, and what seemed to be a blackout about the actual data. Eventually, the study results were published indicating that 42 subjects had been ultimately recruited for the trial, not the planned 70, and not a single one of these had responded to the drug. Ironically Jennings himself, who had promoted the therapy with unabashed enthusiasm, would die of lung cancer, only months after his diagnosis in 2005. Folkman too, has passed on, never to realize his hope of an anti-angiogenesis, cancer-free world. Nevertheless, anti-angiogenesis as the answer to cancer remains a big driving force in “biotech” companies, who have developed a whole slew of angiostatin and endostatin offspring, including the drug Avastin, costing up to $10,000 a month, though it doesn’t work particularly well. The clinical studies aren’t impressive, usually reporting several months of improved survival in patients diagnosed with a variety of advanced cancers. In a further ironic turn, in December 2010, after approving the drug for treatment of women diagnosed with breast cancer, the FDA rescinded its blessing of Avastin for this indication when clinical trials failed to show any significant benefit. The anti-angiogenesis love affair not only affected conventional researchers and oncologists, but infiltrated deeply into the “alternative” cancer world. During the late 1990s, I read numerous articles lauding the anti-angiogenic effect of various herbs. Some ten years ago or more, a number of alternative physicians began promoting artemesinin, an herb from Africa long used as a treatment for malaria, as a “natural” anti-angiogenesis supplement. But ten years after the initial burst of enthusiasm, few of my colleagues even mention it. And so it goes. We as a culture, as a nation, as a world, are forever looking for miracles from our scientific and medical gurus, miracles that might finally bring cancer to its knees. And there will forever be miracles ripe for the picking. In 2012, Dr. Thomas Seyfried, a PhD basic science researcher, published the book, Cancer as a Metabolic Disease, announcing to the world that a high-fat, no carbohydrate ketogenic diet represents the solution to cancer prevention as well as to cancer treatment. His monograph has been greeted with much acclaim, though not yet at the level reached at the height of the interleukin-2 hysteria in 1985. Certainly Dr. Seyfried has put together a most impressive achievement, chronicling in great detail his belief that cancer does not develop from genetic alterations – as is generally believed – but as a result of changes in fundamental cell physiology, specifically changes in energy production, that in turn lead to the cancer phenotype. In essence, the genes remain intact, but metabolism goes awry. The book summarizes, then enlarges upon, the concepts of Otto Warburg, MD, the great German scientist who won the Nobel Prize in Medicine and Physiology in 1931 for his work on cellular oxidation and energy production. No scientist has ever been nominated more frequently for the cherished Prize than Dr. Warburg, but he lost his chance for a second win, according to some sources, in 1944 after Hitler ordered that no German scientist could accept the award. Who is Dr. Otto Warburg? To sum up decades of Warburg briefly, mammalian cells create and store usable energy in the form of the adenosine triphosphate (ATP) molecule. Production of ATP is a complex affair involving three distinct and sequential series of cellular reactions that begin with the breakdown of the six-carbon sugar glucose. The first of these processes, glycolysis, does not require oxygen and occurs in the cytoplasm; the second, the citric acid cycle, occurs within the mitochondria, the oval shaped organelles dispersed within the cytoplasm, and requires oxygen; and the third, and most productive in terms of ATP generation, electron transport, proceeds in the membranes of mitochondria and also needs oxygen. In normal mammalian cells, glycolysis represents the starting point of energy synthesis. Its end product, pyruvic acid, is in turn shunted first into the citric acid cycle, then ultimately into the electron transport chain. Along the way, a complex series of step-wise reactions releases multiple energy-rich ATP molecules. Based on his years studying cellular metabolism, Dr. Warburg proposed that cancer cells, unlike normal cells, rely exclusively on anaerobic glycolysis for energy. Such cells do fine in the absence of oxygen, since the metabolic machinery of glycolysis doesn’t require it. Warburg claimed that in these abnormal cells glycolysis actually uncouples from the citric acid cycle and electron transport, leaving the cells dependent solely on this rather inefficient mechanism for survival. Bacteria also synthesize their ATP energy exclusively from glycolysis, in the process we know as fermentation. This uncoupling of glycolysis from the citric acid cycle and electron transport, and the supposed fundamental dependency of cancer cells on anaerobic metabolism, has been studied extensively since Warburg’s day, with many scientists around the world claiming to confirm, then adding to, Warburg’s hypothesis. As Dr. Seyfried correctly points out, in more recent times, cancer researchers have begun drifting away from the study of disordered cellular physiology, enamored as they are of genetic abnormality as the primary and only driving force in cancer formation and growth. I agree Dr. Seyfried has done us all a great service by redefining, re-emphasizing and refining Dr. Warburg’s remarkable research from 80 years ago. He makes the case, using the contemporary basic science data, to support Warburg’s belief that cancer cells depend solely on glycolysis for survival, with his claim regarding the uncoupling of this sugar-fueled, oxygen-independent process from the citric acid cycle and the electron transport chain. But he goes a major step further, stating as fact that since cancer cells depend on anaerobic glucose metabolism for energy, they can be stopped in their tracks by depriving them of blood glucose. Our normal healthy cells, be they situated in the brain or the skin of our feet, do prefer glucose as their primary energy source, obtained from the sugar circulating in the blood. That “blood sugar” comes from a variety of sources, including dietary carbohydrates occurring in fruits, starchy vegetables like potatoes, and grains. The complex carbohydrates in such foods are broken down into glucose during the digestive process, catalyzed by a variety of carb-specific enzymes like amylase. We also maintain a certain amount of stored sugar as glycogen, found in the liver and muscle and formed when glucose molecules link up to one another in complex chains. In times of need and if deprived of dietary carbohydrates, our liver and muscle cells can break down glycogen into glucose for release into the bloodstream. Our liver cells can also, when necessary, convert certain amino acids such as alanine into glucose. However, our glycogen supplies in the liver and muscle are quite limited, providing only an 8-12 hour emergency supply. So during a fast, or starvation, or on a diet providing no carbohydrates in any form, we quickly run out of glycogen. In this situation, through a variety of neural and hormonal signaling, our fat cells, or adipocytes, begin releasing free fatty acids into the blood stream. These fatty acids can in turn be used by our cells in the alternate ATP producing process of beta oxidation. The end result of this series of reactions, acetyl coenzyme A, can then be shunted into the citric acid cycle and the electron transport chain, to produce maximum amounts of energy-rich ATP. Though most of our cells can utilize fatty acids of all stripes via beta oxidation to create ATP energy, our central nervous system is at somewhat of a disadvantage. In fact, long chain fatty acids with 14 or more carbons, which can yield the most ATP from beta oxidation, do not cross the blood-brain barrier. However, in a state of prolonged dietary carbohydrate depletion, the liver begins converting acetyl coenzyme A into various ketone bodies, such as acetoacetate and beta hydroxy butyric acid, which easily penetrate into the brain and which can, like acetyl coenzyme A, be shunted into the citric acid cycle and then the electron transport chain, providing the brain with ATP. On a low carb or no carb diet, our billions of cells in all our tissues and organs switch their energy mechanics from a process driven by glucose to one propelled by fatty acids and ketone bodies. The term “ketosis” simply means the state in which, in the absence of sufficient glucose, our liver synthesizes ketones from acetyl coenzyme A. However, even on a no carb, all meat, high-fat diet, we will still be consuming some glucose in the form of glycogen stored in muscle and organ meats, and our livers will continue to convert some dietary amino acids into glucose, so blood sugar levels never hit zero on such a diet. But in such cases, the amounts produced will be minimal. Though our normal cells do just fine in the absence of carbohydrates, cancer cells, Dr. Seyfried claims, do not. These cells, he says, can never use fatty acids or ketone bodies for any significant energy production, since the citric acid cycle and electron transport in them remain basically inactive. So, he proposes, as the culmination of his exegesis, that on a high fat, moderate protein, no carb diet, a cancer patient will deprive his or her deadly abnormal cells of their only useful source of energy, blood glucose, leading to apoptosis, or cell death. It’s that simple. No dietary sugar, no cancer. The science is impressive, the conclusion, to many it seems, extraordinarily promising. But, is this ketogenic diet really a “new” idea or simply an old one, repackaged for the 21st century? And, can history teach us anything about its efficacy against cancer, or any other disease? During the first half of the 20th century, physicians and researchers studying the traditional Eskimo (Inuit) culture were amazed by the health of these people subsisting on a very peculiar – at least to the Western academic mind – high fat ketogenic diet. The famed Arctic explorer Stefansson first documented the traditional Eskimo diet, which was later studied in some detail in the early 1930s by a research team from McGill University in Montreal. To the surprise of these investigators – at the time no Western scientist believed any human could survive on nothing but meat – this Eskimo diet consisted of virtually 100% animal products, 80% in the form of fat, with much of it saturated, 20% protein, but essentially no carbohydrates. From cradle to grave these traditional Eskimos lived in a state of ketosis. In retrospect, it makes sense that in the Arctic the Eskimos, in order to survive, would have adjusted to their high fat, moderate protein, no carb diet. With its brief summer and lacking soils suitable for crops, the region provides insufficient plant foods suitable for human consumption but does offer an abundance of fatty animal food both on land and in the sea. If the Eskimos hadn’t adapted to such food, living as they did in such a difficult, extreme part of the world, they simply would have died off. Interestingly, as Stefansson pointed out, the Eskimos he studied and lived with for ten years knew that their exclusive animal food diet must be high fat, with moderately low protein. They warned a diet lacking sufficient fat (or as a corollary in Western scientific terms, high protein), would lead to sickness and eventually death. As Stefansson and later scientists learned, the Eskimos living on their high fat, ketogenic diet seemed free from the typical degenerative diseases including cancer and heart disease, already becoming rampant in the Western world during the early decades of the 20th century. In 1960, the elderly Stefansson – was quite a celebrity by that time for his adventures to far away places – wrote a book entitled Cancer: Disease of Civilization?, in which he made the case that the typical Eskimo diet offered complete protection from this frightening malady. In a number of his best-selling books, Stefansson argued strongly that we should all be living like Eskimos, indulging in high fat, moderate protein, no carb diets – that is, if we wanted superb, enduring good health. Blake Donaldson, MD, who ran a general practice for decades on Long Island, New York, began prescribing a ketogenic diet in the 1920s. Donaldson, who was quite familiar with Stefansson’s reports on the Eskimo diet, began recommending an all-meat, high-fat regimen for his patients diagnosed with a variety of complaints such as obesity, diabetes, and heart disease, though he doesn’t appear to have treated cancer specifically. In his 1961 book, Strong Medicine, Dr. Donaldson summarized his findings and his many years of experience recommending a high fat diet. More recently, the famed New York diet doctor, Robert Atkins, MD, popularized the ketogenic diet, not for cancer, but as the ultimate weight loss plan with his books over the decades selling in the tens of millions of copies. The original version of the Diet Revolution published in 1972 sold at one point more than 100,000 hard copies a week, in those days the fastest selling book in the history of United States publishing. As the years passed, Dr. Atkins, a cardiologist by training, began to see in the ketogenic diet the answer to many of the problems of Western civilization beyond obesity, including heart disease, diabetes, hypertension – and yes, even cancer. In his books and in his office working with his own patients, Dr. Atkins warned that to reap the benefits of his diet, one must reach and stay in a state of ketosis, much like the traditional Eskimos. Even a slight deviation from the diet, some ill-advised cheating with a cookie or candy, could stop ketosis in its tracks, and with it, the value of the diet. I knew Bob quite well, and considered him a friend. We first met when I interviewed him for a nutrition story during my journalism days, and later on while I was a medical student, we kept in close contact. During my freshman year at Cornell Medical School – from which Bob had received his own medical degree – I arranged for him to speak as part of a lecture series I had set up on alternative approaches to disease. After I finished my conventional immunology training under Dr. Good, in 1987 Bob graciously offered me a job in his clinic, not to work with patients seeking dietary or general nutritional advice, but to help supervise a cancer unit he was then in the process of establishing. Though I was grateful for the proposal, I turned him down, determined to set up my own practice. Bob had achieved great success as a diet doctor, with an estimated wealth at the time of his death in 2003 in the range of $350 million. He was also a very driven and very smart physician, who clearly saw in cancer, and not in obesity, the ultimate challenge in medicine. Bob, who knew Stefansson’s work well, told me during more than one dinner together in the late 1980s that the ketogenic diet might represent the ultimate solution to cancer. He thought, as Donaldson and Stefansson had claimed before him, that all humans should be following a ketogenic diet to achieve ultimate ideal health. But were they right? Or was there another, perhaps more accurate way, to look at the human dietary condition? Nathan Pritikin believed, and fanatically so, that all humans were genetically and metabolically programmed to follow a high carb, very low fat, exclusively plant-based diet, which if applied diligently would protect us from all the major degenerative disease killers, such as diabetes, heart disease, hypertension – and perhaps, even cancer. The traditional Pritikin diet was literally a mirror image of the Atkins’ Diet, with about 70-75% of all calories derived from carbohydrates, 15-20% from protein, all from plant sources, and 8% or less from fat, again all plant-derived. After Pritikin’s death in 1985, Dr. Dean Ornish of San Francisco would pick up the Pritikin mantle, eventually testing a similar diet in patients diagnosed with heart disease as well as in patients with prostate cancer. The nutritional world then, as it is today, was surely confusing, with various scientists, physicians, and lay authors promoting one diet or another, often – as in the case of Atkins and Pritikin – offering completely contradictory dietary recommendations. Fortunately, when in 1987 Dr. Atkins offered me a job, I had already found what I thought represented a solution to the dilemma of dueling dietary dogma. By the time I began medical school in 1979 I had read the pioneering work of Weston A. Price, DDS, the American dentist and researcher. Beginning in the late 1920s, Dr. Price, accompanied by his wife, spent seven years traveling the world evaluating isolated groups of people living and eating according to long-standing tradition. Today such a study would be impossible, since just about everyone everywhere has adopted the “Western” way of living and eating, down to jeans and junk food. But in Dr. Price’s day, many groups living in many different locations still lived according to tradition largely untouched by modern Western influence. Price’s travels took him from the Eskimos of the Arctic, to the descendents of the Incas living in the high Andes, to the Masai on the plains of Kenya, to isolated Swiss herders in the Alpine mountain valleys, to Polynesians living on pristine tropical islands. Each of these groups Dr. Price studied seemed well adapted to the available food supply. The Eskimos, as Stefansson earlier had reported and as Price confirmed, thrived on their high fat, no carb, animal-based diet. The Inca descendents, on the other hand, had done quite well consuming grains like quinoa, along with tubers, fruits, and some animal protein and dairy. The Masai flourished on a rather extreme diet consisting, for an adult warrior, of a gallon of raw milk a day with some blood and occasional meat, but no fruits, vegetables, nuts, seeds, or grains. The Swiss herders did just fine living on raw pastured cow milk and cheese accompanied by a nutrient-dense, whole grain bread. The Polynesian diet centered around coconut in all its incarnations, the milk, meat, and cream, creatively used in a variety of ways, along with fish, some wild animal meat, and fruits. These diets could not be more different; an Eskimo never drank milk or ate a coconut, the Inca descendents never saw a coconut or whale blubber, a Masai never ate coconut or grains, the Polynesians never consumed grains, never drank milk, and never ate cheese. However different these diets might be, each of these groups, and the many other traditional peoples Price studied, enjoyed excellent enduring health, free from the diseases of civilization – cancer, diabetes, heart disease, and hypertension. In his extraordinary and very detailed 1945 book Nutrition and Physical Degeneration, Dr. Price documented his thesis that we humans over the millennium adapted to and thrived on not one, as the experts usually claim, but a variety of different diets. The food had to be local. And all these groups ate some food in its raw, uncooked form, which they believed possessed special nutritional value. Having first read Dr. Price’s book during my journalism days, I knew that according to his exhaustive work, humans were a varied species, in the past living in and adapting to all ecological niches excepting the Antarctic, offering a variety of food sources. To me, his work offered a solution to the conflicting dietary advice even then being offered to the world. It didn’t make sense as Nathan Pritikin insisted or as Bob Atkins argued, that all humans should follow one specific type of diet: It just didn’t seem reasonable, to me at least. I would receive further support for my thinking during the summer of 1981, after completing my second year of medical school. That July, through one of my journalism contacts from my previous life, I had the opportunity to meet the controversial alternative cancer practitioner, the dentist Dr. William Donald Kelley. Over a 20 year period beginning in the early 1960s, Kelley had developed a very intensive nutritional approach to cancer that came under harsh public scrutiny and media attention when he agreed to treat Steve McQueen. Steve McQueen was diagnosed with advanced mesothelioma, a particularly deadly form of cancer associated with asbestos exposure, sought out Kelley after the conventional approaches, radiation and immunotherapy, failed to halt the progression of his disease. Though he seemed to rally initially, McQueen, according to accounts of those involved with his care, was not particularly compliant, and appeared at the time he first consulted Kelley too sick for any therapy to work. He would eventually die at a Mexican clinic under the condemning gaze of the media for his choice of an alternative method. My writer friend had been in touch with Dr. Kelley, thinking that with all the attention around him he might make a good subject for a successful book. But she wanted me to meet in person with Kelley, who happened to be in New York to discuss her book project. Frankly, as she explained to me, she needed my take on the man, whom she really couldn’t decipher – was he truly onto something useful and extraordinary with his odd therapy, or was he simply a huckster, taking advantage of vulnerable cancer patients, as the media had been insisting. Though initially reluctant, I agreed to meet with Kelley, who turned out to be far different from what I expected. I found him to be very shy, very thoughtful, and clearly very smart. 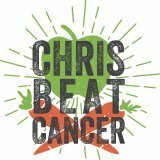 And, I could see that he was passionately devoted to his nutritional approach to cancer. During that first meeting, Kelley described in some detail the tenets of his therapy. In summary, it involved three basic components: individualized diet, individualized supplement programs with large doses of pancreatic enzymes Kelley believed had an anti-cancer effect, and detoxification routines such as the coffee enemas. He fervently believed that each patient required a protocol designed for his or her particular metabolic, physiologic, and biochemical needs, and that one diet would never be suitable for all. As I was to learn, the diets Dr. Kelley prescribed ranged from largely plant-based high-carb to an Atkins-like diet, with patients prescribed fatty meat several times daily. In general Kelley believed patients diagnosed with the typical solid tumors – cancers of the breast, lung, stomach, pancreas, colon, liver, uterus, ovary, prostate – did best adhering to a plant-based, high carb type diet, low in animal protein and animal fat. Patients diagnosed with the immune based “blood cancers” like leukemia, lymphoma, and myeloma, as well as the sarcomas, a type of connective tissue malignancy, required a lower carb, high animal fat, moderate animal protein diet. Other patients, usually with problems other than cancer, thrived on a more “balanced” diet, incorporating a variety of plant and animal foods. But all his patients ate some carbs in the form of fruit and carrot juice, the amounts allowed varying according to the underlying metabolic makeup. All this resonated with me, having studied the work of Weston Price so intently. After my original lengthy conversation with Dr. Kelley, my research mentor Dr. Good suggested that during my summer break I begin an informal review of Kelley’s patient charts located in his Dallas office. From my first day in Dallas, I found among Kelley’s records patient after patient with appropriately diagnosed poor prognosis or what would be considered terminal disease such as metastatic pancreatic and metastatic breast cancer, who had done well under his care for many years, often with documented regression of his disease. These preliminary findings spurred Dr. Good to encourage a more thorough investigation of Kelley’s methods and results. As the project grew in scope, I continued my “Kelley Study” in my spare time during the last two years of medical school, and ultimately brought it to completion while pursuing my immunology fellowship training under Dr. Good at All Childrens’ Hospital in St. Petersburg. For the study I reviewed thousands of Kelley’s charts, interviewed over a thousand of his patients, and evaluated 455 of them in some detail. I eventually put my information into monograph form under Dr. Good’s direction, including 50 lengthy case reports of patients with 26 different types of appropriately diagnosed, poor-prognosis cancer who had responded to Kelley’s nutritional regimen. One of these patients, a woman from Appleton, Wisconsin, had been diagnosed in the summer of 1982 with stage IV pancreatic adenocarcinoma, the most aggressive form of this most aggressive disease. A liver biopsy during exploratory surgery confirmed the diagnosis of metastatic cancer, which the Mayo Clinic would later confirm. When the Mayo oncologist on the case said there was nothing that could be done, the patient being looking into alternative approaches, learned about Kelley’s work, and began his therapy. Thirty-one years later, she is alive and well, having seen her children – and now her grandchildren – graduate college. To put this case in perspective, I know of no patient in the history of medicine with stage IV pancreatic cancer and biopsy proven liver metastases who has lived this long. Another memorable patient written up for the book had been diagnosed with what was thought to be localized endometrial cancer in 1969. After a course of radiation to shrink her large tumor, she underwent hysterectomy, and was told they “got it all.” Over the next few years, however, her health began to deteriorate: she experienced persistent fatigue, malaise, pelvic pain, and weight loss. Though she returned to her primary care physician repeatedly, he dismissed her complaints as “nerves,” suggesting only a tranquilizer. Eventually, in 1975 she developed a palpable mass the size of a grapefruit in her pelvis, thought by her doctors – finally taking her seriously – to be an indication of obvious recurrent disease. A chest x-ray at the time revealed multiple nodules in both lungs, consistent with widely metastatic cancer. Though told her situation was dire and her cancer incurable, she underwent surgery to remove the large pelvic tumor, to avoid an impending intestinal obstruction. Shortly afterwards she began a synthetic progesterone used at the time as a treatment for metastatic uterine cancer. Her doctors admitted the drug would not be curative, but hopefully might extend her life a few months. However, she stopped the medication after a few weeks because of serious side effects, and with no other conventional options in sight she began looking into alternative approaches. She learned about Kelley’s work, began the program, regained her health, and avoided all conventional doctors for many years. In 1984, nine years after coming under Kelley’s care, she returned to her primary care physician who was quite perplexed she was still alive after all this time. A chest x-ray showed total resolution of her once widespread lung metastases. This patient eventually lived until 2009 when she died at age 95, having survived 34 years from her diagnosis of recurrent metastatic uterine cancer. Although Kelley did prescribe a variety of diets for his cancer patients, these two exemplary patients followed a plant-based eating plan, high in carbohydrates with a minimum each day of four glasses of carrot juice, dense in nutrients but also dense in natural sugar. Each of these diets allowed considerable fruit and whole grain products, foods again loaded with carbs. According to Seyfried’s hypothesis, both should have died quick miserable deaths. At the time I finished my monograph in 1986, I hoped that with its publication, fair-minded researchers might begin taking Dr. Kelley and his nutritional therapy seriously. As I was to learn, I completely and rather naively misjudged the animus of the scientific community toward unconventional cancer treatment approaches that didn’t fit the “accepted” model. Even with Dr. Good’s support, after two years of trying I could not get the book published, either in its entirety, or in the form of individual case reports appropriate for the conventional medical journals. Editors responded with disbelief, claiming the results couldn’t be real since a non-toxic nutritional therapy could never be useful against advanced cancer. I found the logic, “it couldn’t be true because it couldn’t be true” perplexing, for editors of scientific journals. In any event, the book would finally be published, in a rewritten and updated form, in 2010. Discouraged by our failure to get the results of my five-year effort into the world, in 1987 Kelley closed down his practice and more or less went off the deep end, disappearing from sight for a number of years. After we parted in 1987, he and I would never speak again. In 2005, he would eventually die with his dream of academic acceptance unrealized. But my colleague Dr. Linda Isaacs and I have worked diligently over the past 26 years, keeping the Kelley idea alive, that different people may require completely different diets. In the next installment, I will address my own experience treating patients diagnosed with advanced cancer with a Kelley based approach. Our therapy involves, oftentimes, diets high in carbohydrates, which proponents of the ketogenic diet would predict should fuel, not stop, cancer. After Kelly closed down his practice, in late 1987 I returned to New York and began treating patients with advanced cancer, using a Kelley-based enzyme approach, with immediate good results. One of the first patients who consulted me had been diagnosed two years earlier, after a series of mishaps, with inflammatory breast cancer, the most aggressive form of the disease. This patient had a very unfortunate story: by the time of her original diagnosis in 1985, her breast tumor was too large to allow for surgery, so her doctors recommended a course of radiation to the chest, hoping to shrink the tumor and allow for mastectomy. She proceeded with the planned radiation, but at surgery the tumor was still quite large at 8 cm, with 18 of 18 lymph nodes involved with cancer. Her doctors informed her that her disease would inevitably prove fatal, but suggested aggressive chemotherapy to hold off the cancer as long as possible. She again followed her doctor’s advice, beginning multi-agent chemo. In the fall of 1987, two years into treatment, she developed evidence of new metastatic disease in the bone. At that point, she began looking into alternative approaches, learned about our work from a social worker she knew, and came under my care only a couple of months after I had begun in private practice. To summarize her nearly 26 years of treatment with me, she has been disease-free for years as per bone scan studies, continues on her nutritional program, and continues leading a normal, cancer-free life. By the standards of conventional oncology, this patient’s complete regression of metastatic disease and very long-term survival must be considered remarkable. One of my favorite patients, whom I have discussed at times in my lectures, was diagnosed in August 1991 with stage IV pancreatic cancer, with multiple metastases into the liver, into the lung, into both adrenals, and into the bone. After a lung biopsy confirmed adenocarcinoma, his doctors discouraged chemotherapy, telling him and his wife conventional treatments would only ruin his quality of life while offering no benefit. He was given, as he would later tell me, two months to live. The patient’s wife, a former college professor with an interest in nutritional medicine, learned about our approach from an article she read in an alternative health journal, and in the fall of 1991 he began treatment with me. Some fifteen months later, repeat CT scans showed stabilization of disease. Since he felt fine at the time, following his program religiously, he decided against any further conventional testing until 1998, seven years after he had started with me, when a series of CT scans confirmed total resolution of his once extensive cancer. This patient would eventually die at age 85 in 2006, 15 years after his diagnosis, from the residual effects of a serious automobile accident. To put his case in perspective, I know of no similar case with documented stage IV pancreatic cancer that had spread at the time of diagnosis into multiple organs who survived 15 years after diagnosis with confirmed total resolution of his disease. For both these patients, in the traditions of the Kelley system I prescribed a plant-based, high carb diet, including multiple servings of fruit, with its content of natural sugar, along with four glasses of carrot juice daily. By Seyfried’s hypothesis, both of these patients should have died quick, miserable deaths under my care. Currently, after more than 25 years in practice, I am writing a two-volume set consisting of detailed case histories of our own patients, like the two mentioned above, to make the point that the therapy works in practice. For those diagnosed with poor-prognosis solid tumors, many now alive in excess of 10 years, I have prescribed a high carbohydrate diet, in total contradiction to what Dr. Seyfried proposes as the ideal anti-cancer approach. Just this week as I write this, one of my newer patients, a wonderful, creative inventor and computer whiz from the Washington, DC area, came into my office for his regularly scheduled six month re-evaluation appointment. When he started with me in January 2010, three and a half years ago, he had been diagnosed with stage IV metastatic squamous cell carcinoma of the lung, with multiple tumors in both lungs and with evidence of metastases in his ribs. His local doctors in DC had explained he had terminal disease, for which chemotherapy would be useless. His rib lesions were causing him so much misery his doctors did suggest a course of radiation for palliative pain control. However, he had learned about my work from a mutual friend who recommended he dispense with all conventional treatments and instead pursue my regimen. He followed her advice, refused radiation, came to see me, and over the years he has proven to be a very vigilant, determined and compliant patient. Within a year on his nutritional program, which includes a high carb diet, his pain had resolved, his energy, stamina, and concentration had improved, and scans confirmed total resolution of all his original extensive disease – in complete contradiction to what Dr. Seyfried would predict or claim possible. When I saw the patient in my office during this recent visit, he remarked that over the preceding months, he had been craving more carbs than ever before, so in response he had significantly increased his daily intake of carrot juice, fruits, and starchy vegetables, foods allowed on his diet with no limitation. With this increased carb intake, he has actually lost 16 pounds of excess weight, and his energy is better than it has been in 30 years. And, he remains cancer free. According to Dr. Seyfried, on this high-carb regimen his cancer, thriving as he claims on sugars, should long ago have exploded with deadly results. Despite Kelley’s and my own positive experience treating cancer patients with non-ketogenic, often high-carb diets, can I muster any data, past or present to support what Seyfried claims? What does past experience and current data show, about the miracle of the ketogenic diet for cancer? Why, one wonders, if Dr. Seyfried’s actual data is so thin, have so many physicians, scientists, and writers jumped on the ketogenic bandwagon? Let me say out front I have no problem with scientists who propose a theory, in short papers or in the case of Dr. Seyfried, in long, detailed books. I do have a problem when scientists go a step further, insisting in the absence of any significant human data or even impressive case histories they have unraveled the mystery of cancer. I am also quite surprised, in the case of Dr. Seyfried, that both alternative and conventional practitioners have risen up in a loud chorus of enthusiasm, as if indeed Dr. Seyfried’s theories are correct, and that he has solved the cancer riddle. I am a board-certified medical oncologist with 30 years experience in caring for cancer patients and another 20 years of research in cancer medicine dating back to 1963. Seyfried’s “Cancer as a Metabolic Disease” is the most significant book I have read in my 50 years in this field. It should be required reading of all cancer specialists, physicians in general, scientific researchers in the field of cancer and for medical students. I cannot overstate what a valuable contribution Thomas Seyfried has made in writing this masterpiece. From the alternative front, on his website read literally by millions, Dr. Joseph Mercola has been an enthusiastic supporter of Dr. Seyfried and his ketogenic thesis. In two lengthy articles Dr. Mercola proposes that the ketogenic is an answer to cancer. Could a ketogenic diet eventually be a “standard of care” drug-free treatment for cancer? Personally, I believe it’s absolutely crucial, for whatever type of cancer you’re trying to address, and hopefully someday it will be adopted as a first line of treatment. In a second article from June 30, 2013, entitled “The Ketogenic Diet – An Excellent Approach to Cancer Prevention and Treatment,” Dr. Mercola discusses the work of Dr. Dominic D’Agostino, PhD, another basic scientist, this time from Florida, who enthusiastically reports his animal and laboratory work with the ketogenic diet. As I ponder this enthusiasm, I have to think that perhaps I am just a little slower, or more cautious, than most. The day after I first met Dr. Kelley in New York in July 1981, I was on a plane to Dallas to begin my review of Kelley’s charts. As previously discussed, I quickly found among Kelley’s records case after case of appropriately diagnosed poor-prognosis and/or terminal cancer, patients alive five, ten, even 15 years later, with no possible explanation for such survival other than Kelley’s odd nutritional treatment. After I returned to New York some three weeks later carrying with me copies of dozens of patient records, and after reviewing my findings with Dr. Good, I knew Kelley was on to something. One thing for sure, at the time I didn’t, as I easily could have with my journalism contacts, think about “explosive” news stories, or a book contract. Quite the contrary, as I discussed in a previous article, I met Kelley through a journalist friend who thought he might make an excellent subject for a potboiler, a wealth-generating best seller. After only a few days in Kelley’s Dallas office, I quickly realized that he, as odd as he may have seemed to some, as peculiar as his therapy might be to conventional researchers, had put together a potentially useful, non-toxic, nutritional cancer treatment. I also quickly understood that for his approach to gain academic acceptance, Kelley must back off completely from involvement with popular controversial books and media hysteria. When I expressed my opinion about such things to him, he accepted the wisdom of my position unconditionally. When he then told my writer friend in a rather difficult phone call that he had no interest in pursuing the book she had suggested, she was, to say the least, livid with me – especially since she had brought Kelley and me together in the first place, seeking my opinion about his authenticity. Ironically, because I thought him to be possibly legitimate, I had instructed him to avoid involvement with any popular book including hers. My writer friend would not speak to me for 16 years, until we met at a conference in New York. We hugged, after all those years, and made up. Only after interviewing 1,000 of Dr. Kelley’s patients, and evaluating 455 of them at length over a five-year period, did I even begin to think about the book that would be written – not a popular potboiler, not a tome expounding his elaborate theories, but a serious academic monograph about our findings. It is just not in my makeup to put out a book with lovely theory and two case reports, however inspiring they might be. I do have a challenge, a gentlemanly academic challenge of course, to Dr. Seyfried. In this article, I have presented a number of cases, seven to be exact, four from Kelley’s files and three from my own practice. The four Kelley cases include the 31-year survivor of metastatic pancreatic cancer confirmed at Mayo, the 34-year survivor of stage IV endometrial cancer, the five-year survivor of aggressive brain cancer, and the 11-year survivor of advanced, aggressive multiple myeloma. The three from my practice include the stage IV 25-year survivor of metastatic inflammatory breast cancer, my 15 year survivor of stage IV pancreatic cancer, and my three and a half year survivor of stage IV lung cancer that has totally regressed on my therapy. With the exception of the myeloma patient, all the other six patients, both Kelley’s and mine, followed a high carb, plant-based diet, replete with frequent servings of fruit and multiple glasses daily of sugar-rich carrot juice. I challenge, for the benefit of science, Dr. Seyfried to match these seven simple straightforward cases. In my experience, no one else has been able to meet the challenge, so I question whether Dr. Seyfried can either. The point I’m trying to make is simple. Within my practice, I am already receiving letters and faxes and calls from prospective patients diagnosed with advanced cancer of a variety of types, who with great enthusiasm jumped on the ketogenic diet bandwagon – with poor results. In my next and final article in this series on the ketogenic diet as a cancer treatment, I will offer my suggestions as to why the diet most likely won’t work for most people, based on past epidemiological research and current biochemical thinking. First, as Weston Price proved 70 years ago in his exhaustive epidemiological study, over the millennia different groups of humans adjusted to different types of diets, depending on the locale in which they lived and the available food therein, ranging from high carb to virtual no carb. Though Dr. Price was not evaluating dietary treatments as such for disease, his point should nonetheless be well taken – different humans (for optimal health) need different diets. In terms of our specific discussion, diet as cancer treatment, Dr. Kelley demonstrated more recently in his Dallas, Texas, and Winthrop, Washington offices, no one diet suits all patients diagnosed with the disease, quite the contrary. Over a 20 year period working in the trenches treating many thousands of people, Dr. Kelley came to learn that each patient who walked into his office required a diet designed specifically for his or her metabolic needs, and these dietary requirements could vary enormously from patient to patient. Unknown to most, even within the alternative world, my friend Bob Atkins tried the ketogenic diet for some 12 years on many of his cancer patients, with no significant success as he reported to me. As a telling point, under the name “Dr. Robert Atkins” on Amazon, one will find dozens of books he authored including his original diet book, its many incarnations and editions, along with books on vitamins, minerals – but glaringly absent, no book on cancer. Yes, the ketogenic diet has been tried before, with cancer patients, and without success. I also might offer a thought as to why, from a more esoteric, more biochemical perspective, for most people diagnosed with cancer the ketogenic diet might not work. For the past 150 years, researchers have approached cancer as a disease in which perfectly happy, normal mature cells sitting in some tissue somewhere suddenly go awry, lose their normal regulatory restraint, develop a primitive, undifferentiated appearance or phenotype, begin proliferating without restraint, begin invading through tissues and organs, begin migrating, spreading, creating new blood vessels along the way to feed the rapacious appetite of cancer. But over the past 15 years, gradually, a new, more productive, and I believe more truthful hypothesis has emerged, spearheaded particularly by Dr. Max Wicha at the University of Michigan. Scientists such as Dr. Wicha have discovered that cancer may be a little more complicated than we have thought these long decades. In recent years stem cells have been a hot topic in the research world, and a hot topic, for better or worse, in the media. These headline-grabbing stem cells are primitive undifferentiated cells, located as nests in every tissue and organ in the body, that serve as a reserve supply to replace cells in the tissue or organ lost due to normal turnover (as in the bone marrow or along the intestinal lining), disease, injury, or cell death. In this way, stem cells allow complex life to exist and continue, providing tissue replacements as needed, appropriate for the tissue in which they live. That is, liver stem cells will create new liver cells as needed, bone marrow stem cells will create new bone marrow clones as required, intestinal stem cells will form, as necessary, intestinal lining cells. In this way, the developmental capacity of stem cells seems to be governed by the local environment. After stem cells were discovered in the 1960s, scientists initially thought that they had a limited repertoire, that is, liver stem cells can only create more liver cells, but not bone marrow or intestinal cells, bone marrow stem cells can only create more bone marrow cells, but not liver cells, and so on. But we now know that isn’t the case. Stem cells, wherever they may be found, can adapt quite nicely, and are far more flexible than originally believed. In laboratory animals, a liver stem cell placed into the bone marrow starts creating not liver, but bone marrow cells, a bone marrow stem cell transplanted into the liver begins to generate not bone marrow, but liver cells. The environment appears to be the key, ultimately determining the direction of stem cell development. In terms of cancer specifically, many scientists believe that the disease does not develop from normal healthy cells that for some reason go molecularly berserk, but from stem cells that have lost their normal regulatory controls, creating in turn the disease we know as cancer. Like any normal tissue or organ, in a tumor these cancer stem cells generate a variety of cell types that can mature to some extent, but the stem cells remain always primitive, undifferentiated, capable of replicating endlessly, capable of killing eventually. Most standard therapies fail, Dr. Wicha and his associates believe, because they attack the more mature tumor line, not the essential tumor stem cells, the actual engines of cancer creation. Dr. Seyfried makes the case that normal stem cells, like cancer cells, are obligatory glucose consumers, relying solely on anaerobic glycolysis for the energy needed for survival. I agree, to a point. But I will also make the case that as with normal stem cells, cancer stem cells are very flexible, capable of adjusting to the local environment. If deprived of oxygen, stem cells happily will turn to glycolysis as the main source of ATP energy. In an oxygen rich environment, I believe these stem cells can adapt accordingly, recoupling at least to some extent glycolysis to the citric acid cycle and electron transport, with great efficiency, and in terms of cancer, with deadly results. Some years ago, a patient of mine, a professor at a well-known university, became interested in oxygenation therapies for cancer, used widely in the Mexican Clinics. These “oxygen” treatments were an offshoot of Dr. Warburg’s work, i.e., that cancer cells as obligatory anaerobes can synthesize needed energy supplies only via glycolysis. Therefore, the theory goes, in the presence of oxygen, particularly ozone, a form of hyped up oxygen, cancers cells, unlike normal cells, will be poisoned. My professor patient seemed quite taken by the ozone approach, which he thought I should start implementing in my practice. However, I become somewhat doubtful about the theory, and the use of ozone as a treatment for cancer. At the time I had already taken care of dozens of patients who prior to consulting with me had been to the Mexican Clinics to receive ozone along with other treatments. All seemed to have initial good responses followed by explosive return of their malignancy. I explained to my professor patient that I believed cancer stem cells could quickly adapt to oxygen, despite what the Warburgians might claim. At about this time, ironically, this professor’s dog developed a very aggressive sarcoma, for which standard treatments were of no avail. Enchanted by oxygenation therapies, he actually bought an ozone generating machine meant for rectal installation, which he began, against my advice, using on his most patient dog. After two weeks, the large tumors, quite evident to the naked eye, regressed substantially, to the professor’s great joy. He called me with the good news, and in a collegial sense, suggested he might be teaching me, the cancer expert, something new. I told him to wait before we came to a conclusion. Unfortunately, some four weeks later, the professor called me again, reporting sadly that after the initial miraculous response, the tumors had recurred with a vengeance, and the dog had quickly succumbed. It’s an interesting story but of course just that, a story that I fully acknowledge proves nothing, though in my mind it does illustrate how adaptable cancer cells, specifically cancer stem cells can be. It is a good lesson, for all of us, before we tout the next great cancer miracle. « Ann Healed Pancreatic Cancer with Nutrition & Enzymes in 2001!